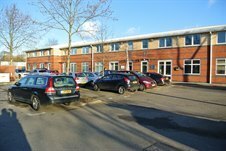 Cattaneo Commercial are pleased to announce three new lettings on this well established business park. Wifinity, who already occupy Units 13 and 14 have expanded and taken Unit 1 (4,157 sq ft), whilst Zenith Windows & Doors have taken Unit 9 (1,337 sq ft) and Unit 19 (2,528 sq ft) has been let to Enertechnos Holdings. We currently have three units available, comprising Unit 3 (2,125 sq ft), Unit 6 (2,117 sq ft) and Unit 11 (949 sq ft). If you require any further information on any of these modern business units providing offices and hi tech workshop space please do not hesitate to contact either David Keates or Adam Soliman on 020 8546 2166.